This unique engagement ring setting is perfect for a rectangular radiant or Emerald cut diamonds 1.5 carat and above. 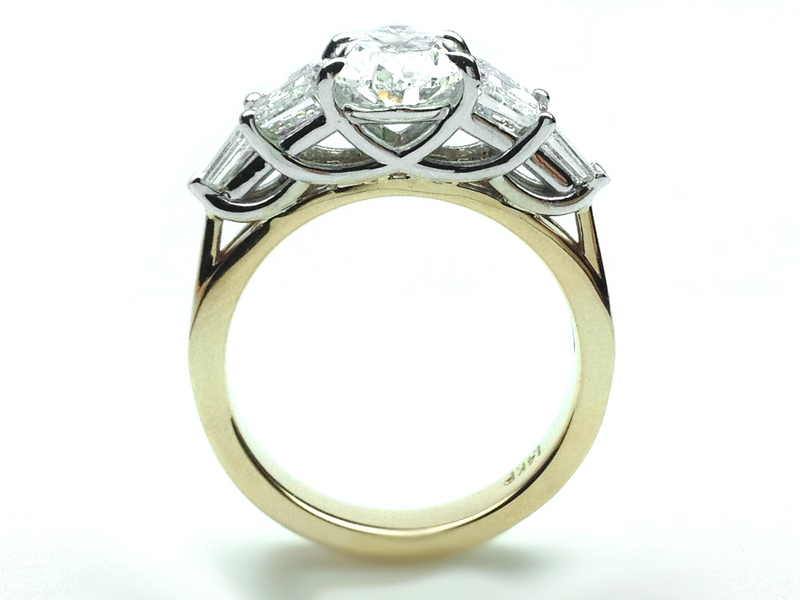 The setting features two Cadillac cut trapezoids approx. 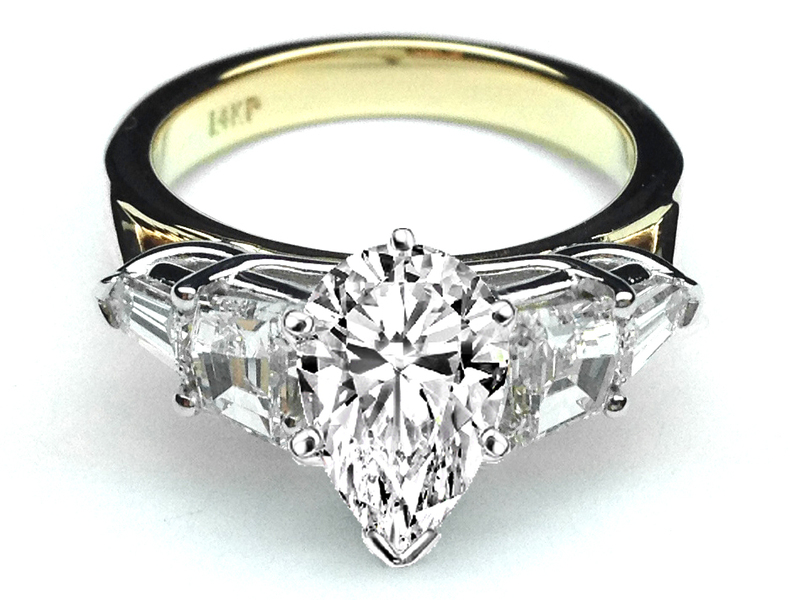 0.50 carat total weight and two bullet cut baguette diamonds approx. 0.20 total carat weight. 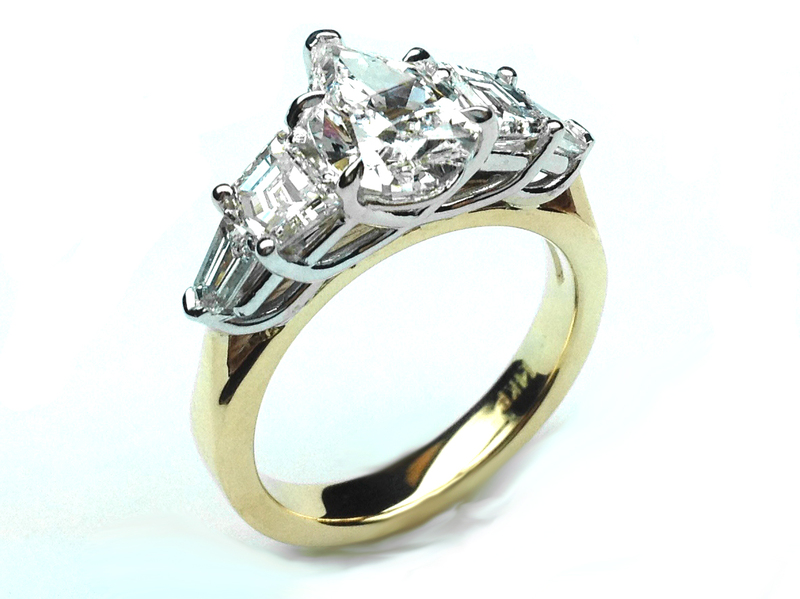 This setting is custom made for your center diamond from 1.25-2.0 Carat. Also available in 14 and 18 karat white, yellow, rose/pink gold and in platinum.